When it comes to lowering the boom, Bryan Bickell is the type of player that can hurt you in any number of ways. There was no doubt that the first-round Western quarterfinal series between Chicago and St. Louis, two longstanding rivals, was going to be a physical, black and blue matchup. It certainly lived up to those expectations, with the Blackhawks prevailing in a hard-hitting, six-game triumph. And it was Bickell, Chicago’s imposing 6’4”, 225-pounder, who led the hit parade after round one, doling out a league-high 35 hits, averaging nearly six per game. The 28-year-old, who grew up a Toronto Maple Leafs fan, patterned his own game after one of the most beloved and impactful players to ever don the blue and white jersey. 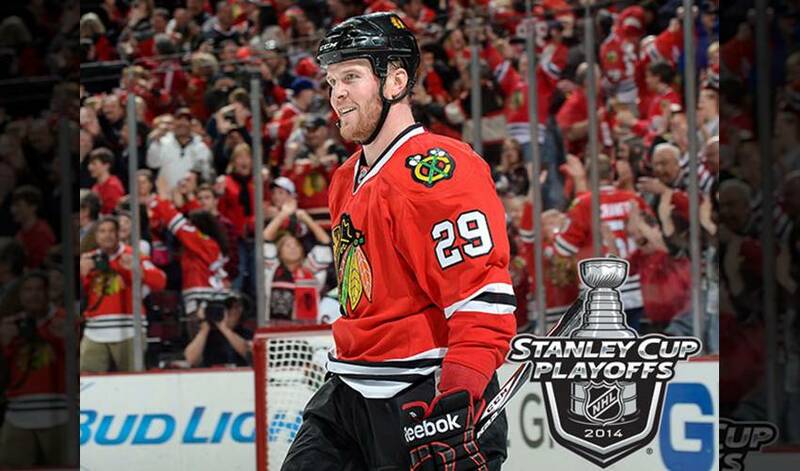 Bickell is no stranger to coming up big in the big games, too. In 2012-13, he contributed nine goals and 17 points in 23 post-season contests, while dishing out 85 hits. His contributions went a long way in helping the ‘Hawks hoist the Stanley Cup. Now, Bickell is locked-in on the Wild, who got by Colorado in seven games. While the intensity and compete levels ratchet up the further teams go in the playoffs, Bickell isn’t concerned with how Chicago will handle the ups and downs of their current challenge. For Bickell, that comes in the form of timely scoring and punishing checks. It’s something his childhood idol would be happy to see - that No. 29 has become a big hit for the Blackhawks.